Mr. Matri joined Scura, Wigfield, Heyer, Stevens & Cammarota, LLP in October of 2015 after years of practice in Florida. While in Florida, Mr. Matri led the litigation department of a multi-state creditor’s rights law firm who represented major financial institutions and national banks. His experience includes the prosecution of hundreds of civil actions, defending creditors in direct actions by consumers, representation of creditors in bankruptcy proceedings, and working together with general counsel to design processes and protocols for the banks. This experience has allowed Mr. Matri to gain valuable knowledge as to how creditors evaluate and pursue claims against individual consumers. Mr. Matri now puts his knowledge, experience, and contacts to work for the individual. Mr. Matri establishes long term relationships with his clients. Often, after representing clients in litigation matters, he will work to protect their assets through estate planning. 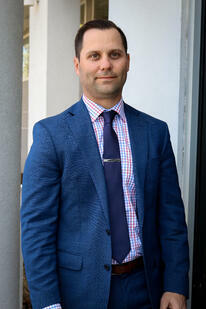 Mr. Matri attended Syracuse University and Florida Coastal School of Law. He has served internships with the Public Defender for the 4th Judicial Circuit of Florida as well as for the Honorable Thomas J. LaConte of Passaic County, New Jersey.